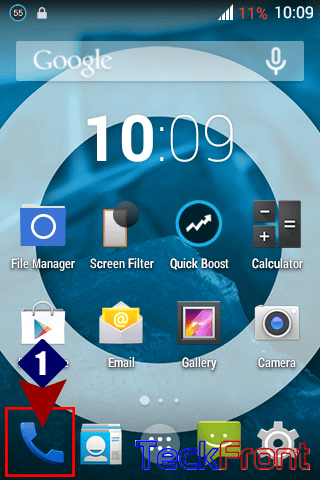 How to Set Call Forwarding When Unanswered in Android KitKat 4.4.3? It is always annoying for a caller when your phone is found unanswered. Your phone can be unanswered when your phone is powered off due to night sleep time or battery discharge. It is good idea to keep, at least, one device, active, and forward all the incoming calls to this number if this number is unanswered. Command Line: Phone Dialer > Settings > Call settings > OTHER CALL SETTINGS - Call forwarding > Call forwarding settings > Forward when unanswered. 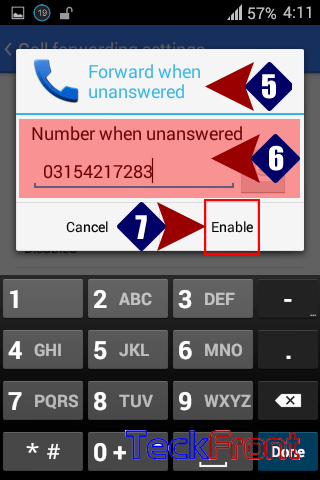 1: Tap the ‘Phone Dialer’ to open up the phone dialer screen. 2: Tap the ‘Settings’ button, available in the right bottom corner of ‘Settings’ screen. It will open up a popup menu. 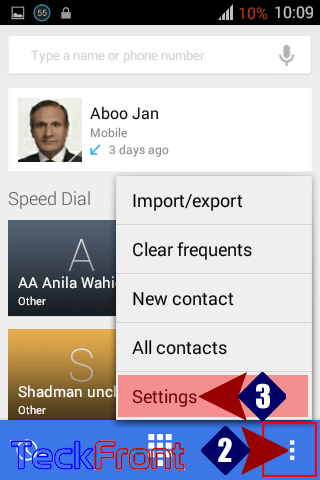 3: In the ‘Settings’ popup menu, tap the ‘Call settings’ to open up the ‘Call settings’ screen. 4: At the ‘Call settings’ screen, tap the ‘Call forwarding’ to open up ‘Call forwarding settings’ screen. 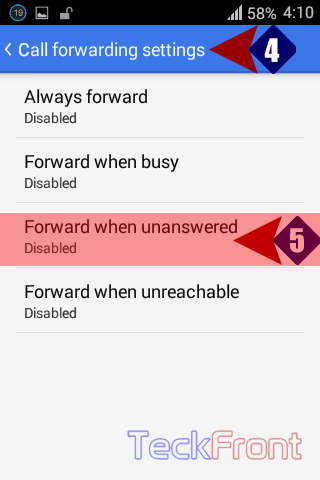 5: Here, at the ‘Call forwarding settings’ screen, tap the ‘Forward when unanswered’ to open up a prompt. 6: In the prompt, write / type the contact / phone number which you want to be used for call forwarding when your this phone number is unanswered. 7: Tap ‘Enable’ and the call forwarding when busy will be enabled and activated on your phone. 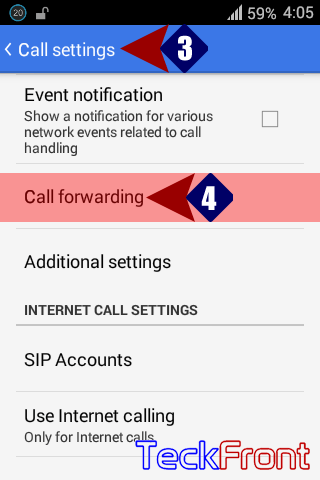 Older How to Set Call Forwarding When Phone is Busy in Android KitKat 4.4.3?